In this article, we introduce you to 6 of the most impressive trends in architecture. And we will tell you why their popularity will gain momentum in 2014. Among the most trendy directions in architecture there are sustainable buildings, recreation oriented designs, flexible layouts, prefabricated buildings, healthy buildings and reconstruction of existing buildings. Currently one of the most common trends in the world of architecture is to move to the economical use of energy, reduce carbon emissions, the emphasis on the principles of sustainability. Sustainable buildings cope with the problem of energy saving and carbon emissions in general. And due to this, energy-saving houses have been the focus and priority of architectural design ideas this year. More people make their home in a kind of refuge, a place where they can relax. The most popular choice in 2014 is home spa area, where you can escape from the world and relax. Designing of home spas is aimed at improving the health of consumers, and will remain a favorite in architectural design in 2014. Architects design living spaces that will satisfy the needs of the increasing number of elderly people, who live with the family. Such areas of the house should be well organized, usually in some way separated from the rest of the house and be part of an independent housing. This flow covers broad areas, including hotels, office buildings, commercial buildings and garden. The attractiveness of this trend is to save money. Pipelined mode of production presupposes savings on raw materials and human labor. 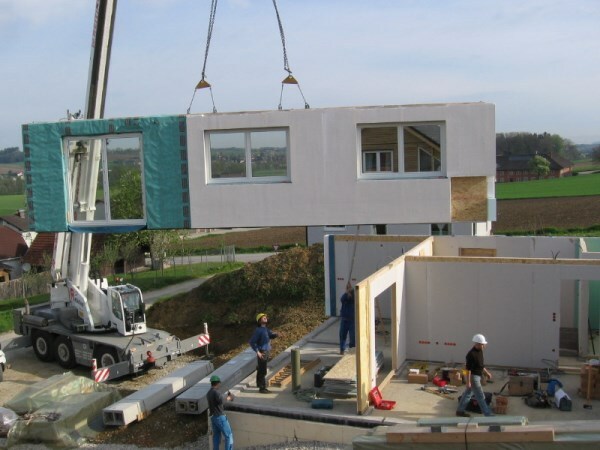 Entire sections of wall and floor can be manufactured, and then delivered to the construction site, ready for assembly, just like a giant Lego. Paint, upholstery, insulation, stain and other synthetic materials used in the construction of housing and causing allergic reactions and potentially serious health problems, are replaced by those, which do not have such side effects. One of the best projects in 2014 will not necessarily be new buildings constructed with the latest architectural thoughts. Much more likely will be the use of existing structures as a basis for a new building. Buildings of gruff, industrial type, church buildings, factories and historical buildings, existing premises or abandoned walls – they all have characteristics which are very difficult to recreate in modern design.